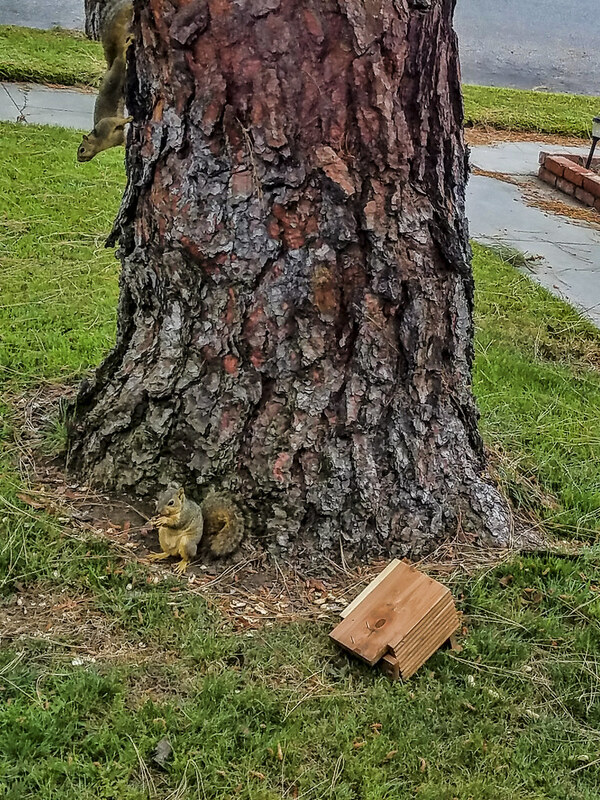 We recently hung this squirrel feeder on a tree in our front yard. 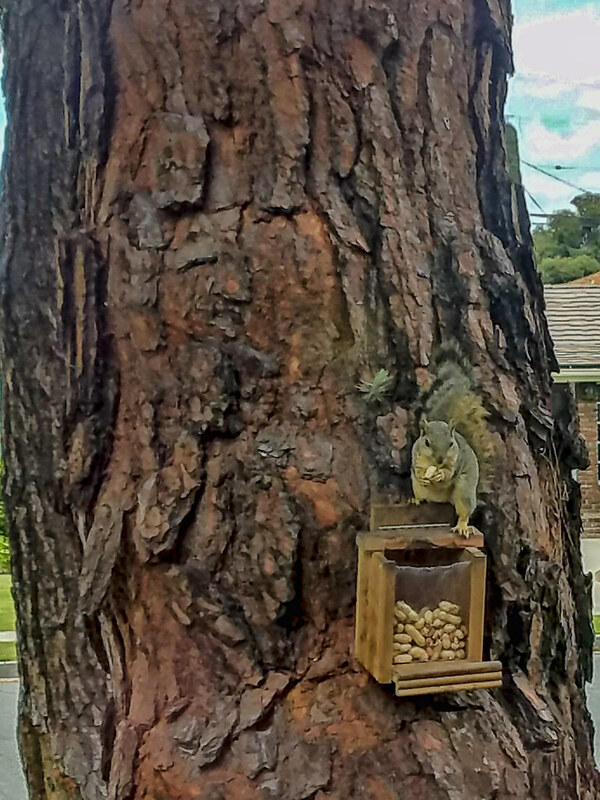 It has been fun to watch some of our local squirrels scurry up and down the tree snatching nuts to munch on. Oops, I guess we did not hang it up well enough, because the next time I went to check on the squirrels, this is what I saw.